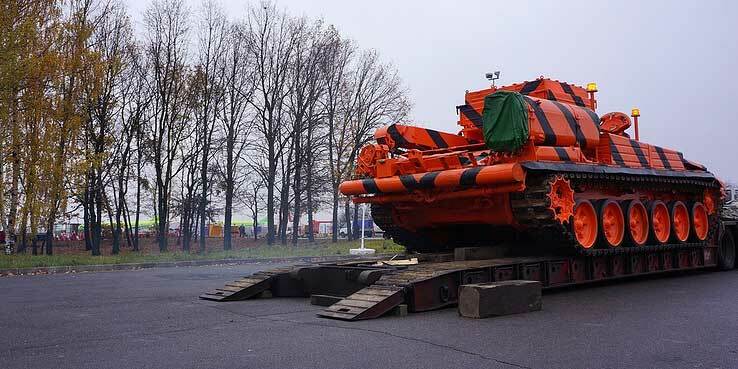 Moscow Domodedovo Airport is the first in Russia, and possibly the world, to acquire a former military tank for use in aircraft emergencies. Developed from the chassis of the T-72 main battle tank, long a stalwart of the Russian army, the BREM-1 was originally designed to recover disabled armored vehicles from the battlefield, and with a towing capacity of 125 tons it will now be tasked with evacuating any size aircraft in an emergency, including unplanned runway departures. With its treads, the 41-ton vehicle can move on any surface and it comes equipped with a circle swing crane that can lift up to 12 tons, as well as metal cutting equipment. The demilitarized vehicle is produced by the Uralvagonzavod Corp., a subsidiary of Russian state-owned Rostec. According to the company, the armored vehicle will soon be a common sight in Russia as it noted the Transport Ministry has mandated its use at all of the country’s airports.